President Uhuru Kenyatta admiration for dynamic duo Kanze Dena and Lulu Hassan is evident on the photo that hangs on State House wall. 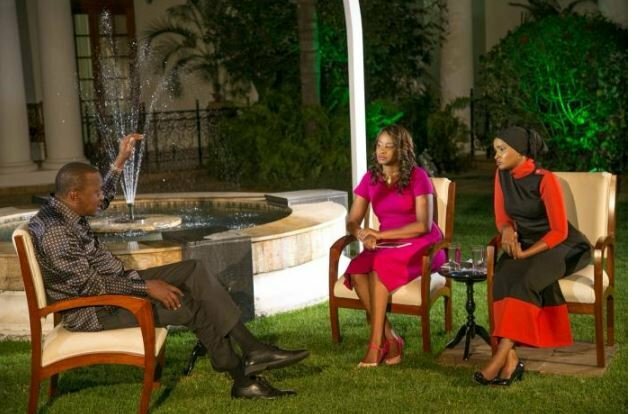 Kanze and Lulu interviewed Uhuru at State House sometimes in March 2017. The president enjoyed the interview and he decided to hang a photo of Lulu and Kanze interviewing him on the walls at State House. 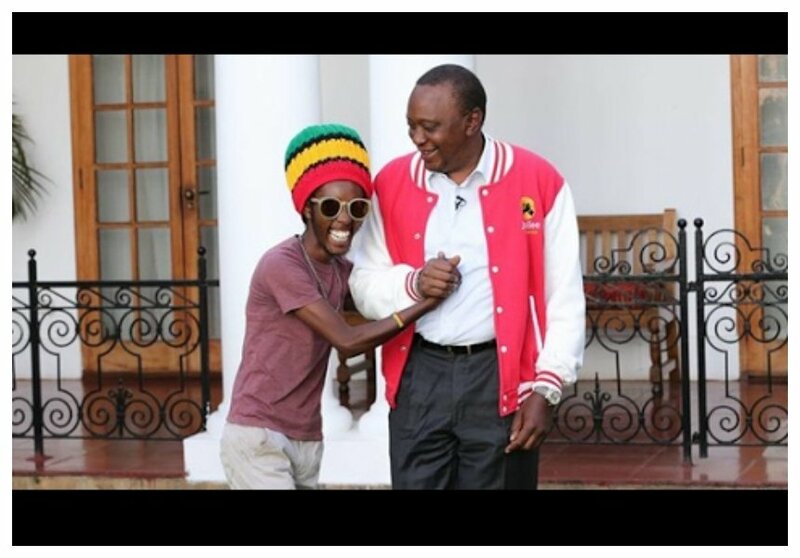 President Uhuru also had a special interview with Radio Jambo’s presenter Daniel Mwangi aka Mbusi. 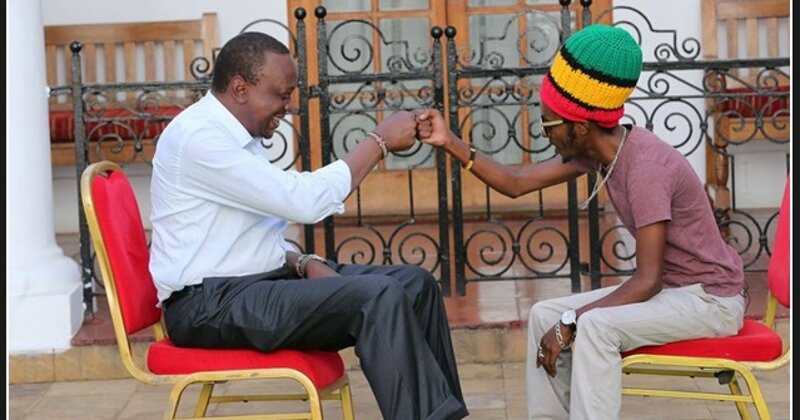 A photo of Uhuru and Mbusi fist bumping also hangs on the wall at State House. 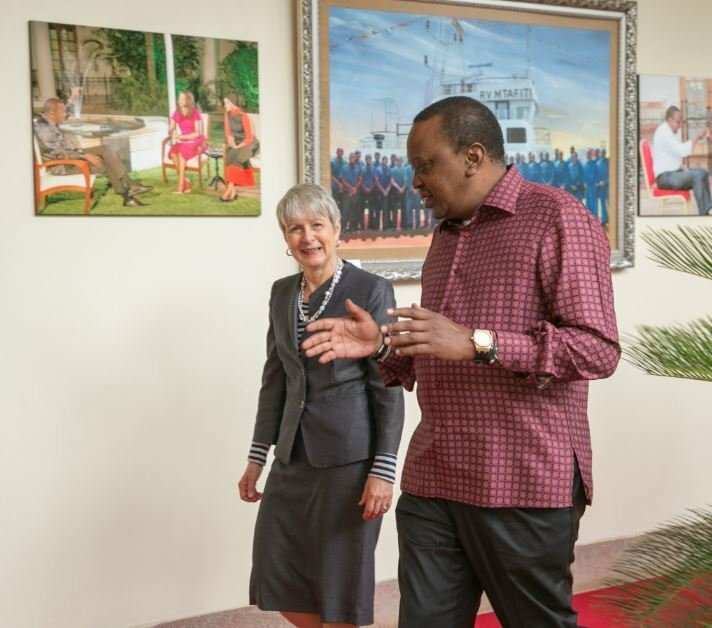 Kenyans noticed Uhuru had hanged photos of his special moment with Lulu Hassan, Kanze Dena and Mbusi on the wall at State House when he was recently photographed walking at State House.